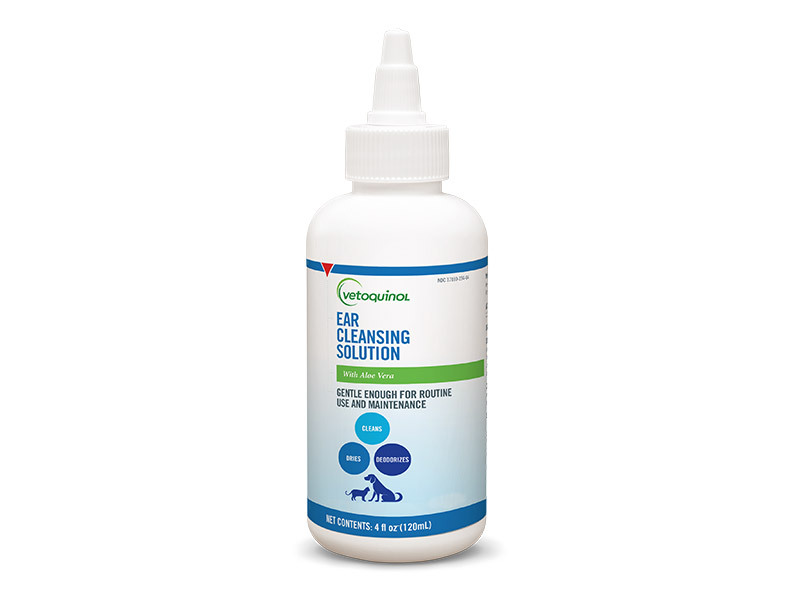 Clean pets' ears thoroughly but gently with our Ear Cleansing Solution. Apply Ear Cleansing Solution liberally into the ear canal of the cat or dog. Massage the base of the ear. For very dirty ears, apply 2–3 times daily for several days. Do not use for more than 7 consecutive days without consulting a veterinarian. Denatured alcohol, 10%; lactic acid, 1.76%; benzoic acid, 0.15%; salicylic acid, 0.1%. Consult your veterinarian before using Ear Cleansing Solution. Follow the recommended administration on the package, unless otherwise instructed by your veterinarian.